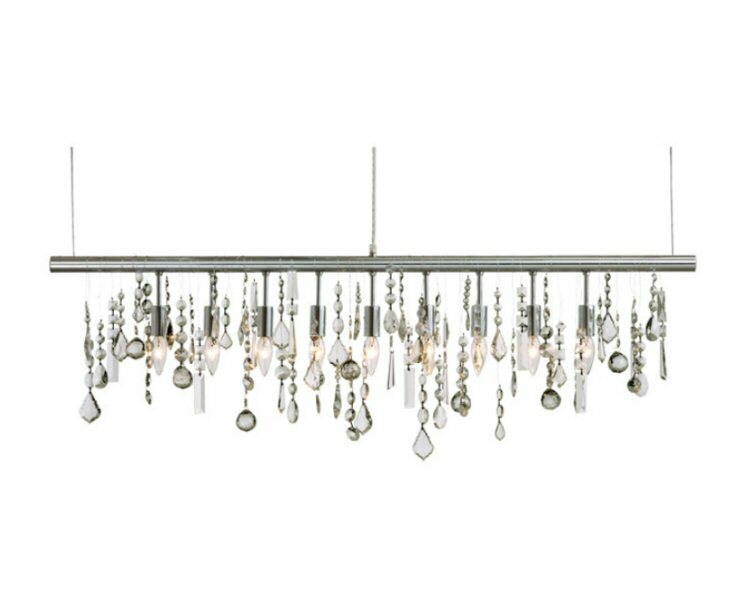 Nuevo Living Crystal linear pendant combines contemporary streamlined elegance with an eclectic range of assorted crystals creating a dynamic sophisticated aesthetic. The linear profile of the Crystal pendant is suitable for installation over bars and counters enhancing spatial definition. 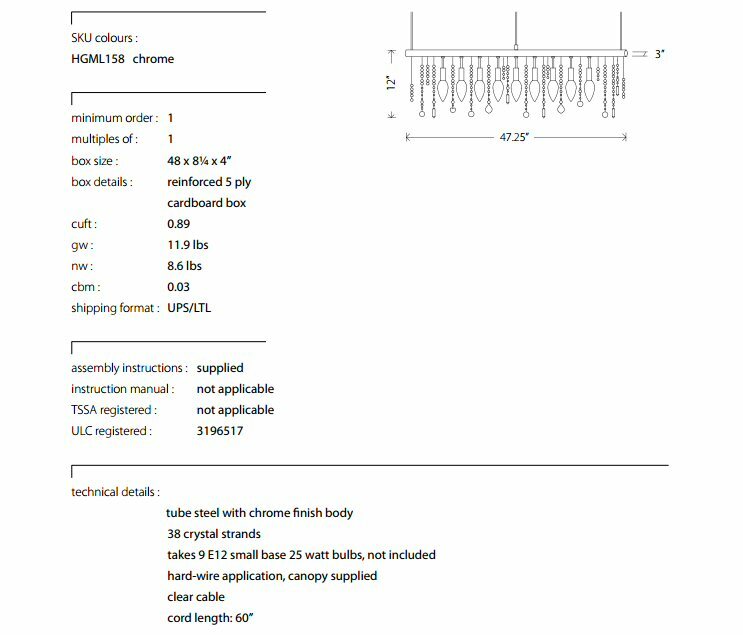 The Crystal linear includes a chromed steel canopy and fixtures, stainless steel suspension wires and 38 assorted crystals. Every crystal hook can be individually hung arranged and composed to suite the singular creative aesthetic of each and every owner.